Panigale V4, first showcased at last EICMA, was launched in India in January and after the initial allotment of 20 units (which is sold out), they have re-opened bookings. 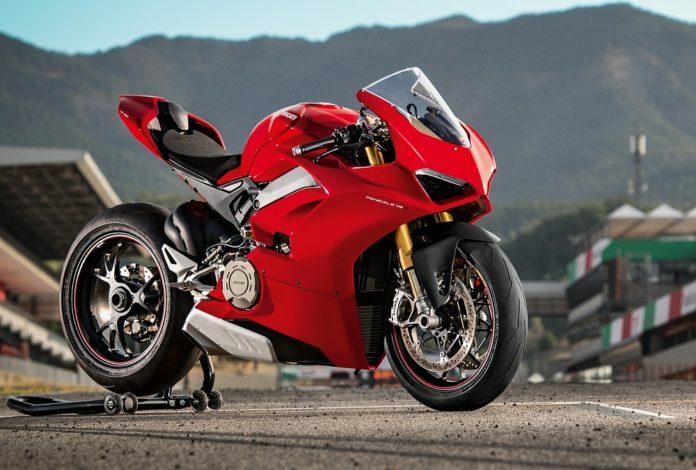 Panigale V4 is the first production Ducati motorcycle to feature a four-cylinder engine and it is as close as it can get to its MotoGP machine. Panigale V4 is powered by the Desmosedici Stradale 1103 cc 90 degree V4 (with Desmodromic timing) engine which belts out 214 hp of peak power at 13,000 rpm and 123.6 Nm of maximum torque at 10,000 rpm. Weighing in at just 195 kg, Panigale V4 has a power to weight ratio of 1.1 hp/kg, which is one of the best for the sports motorcycle segment! 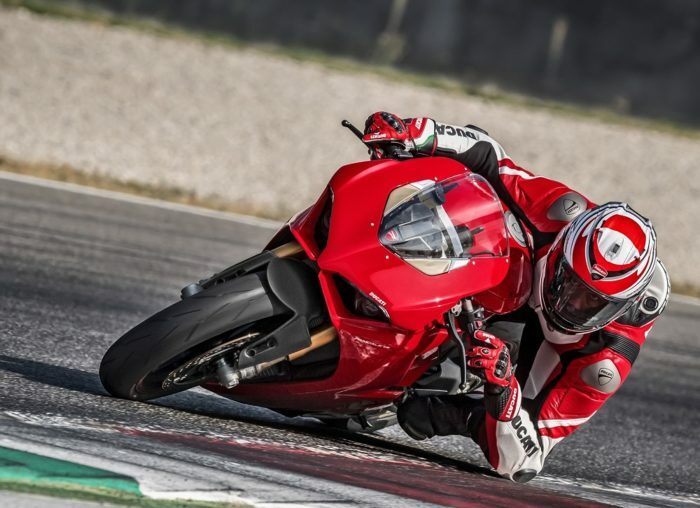 Apart from three riding modes – Race, Sport, Street, Panigale V4 also gets Cornering ABS, Ducati Traction Control, Ducati Slide Control, Ducati Wheelie Control, Ducati Power Launch, Ducati Quick-shift, Engine Brake Control and Ducati Electronic Suspension. As you can see the motorcycle is being offered in two variants. The S gets Ohlins suspension which feature Smart EC 2.0 system and forged aluminium wheels and lithium ion battery. Pre-bookings for phase two have already commenced for an undisclosed number of units. Deliveries of the motorcycles will commence in July 2018. However, the exclusive numbered memorabilia and Sepang MotoGP circuit tour for first buyers is not in the package this time.